The Intel Pentium B980 is a dual core processor for entry-level laptops. It is based on the Sandy Bridge architecture but many of the features like Turbo Boost for the CPU part, HyperThreading, AES, Virtualization (VT-x and VT-d), Trusted Execution or Intel Quick Sync are deactivated. 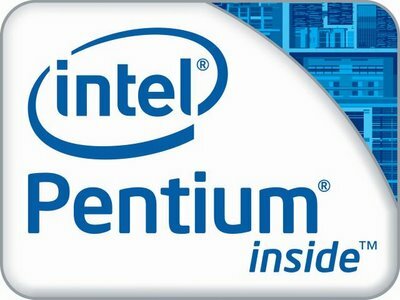 The Pentium B980 integrates a graphics card called Intel HD Graphics that is based on the desktop HD Graphics 2000 clocked at 650 / 1150 (with Turbo Boost). The performance of the Pentium B980 should be clearly faster than a similar clocked Arrandale Pentium CPU. Due to the high clock speed, the missing HyperThreading and smaller last level cache should be equalized and therefore, the performance should be similar to a Intel Core i3-2310M with 2.1 GHz.